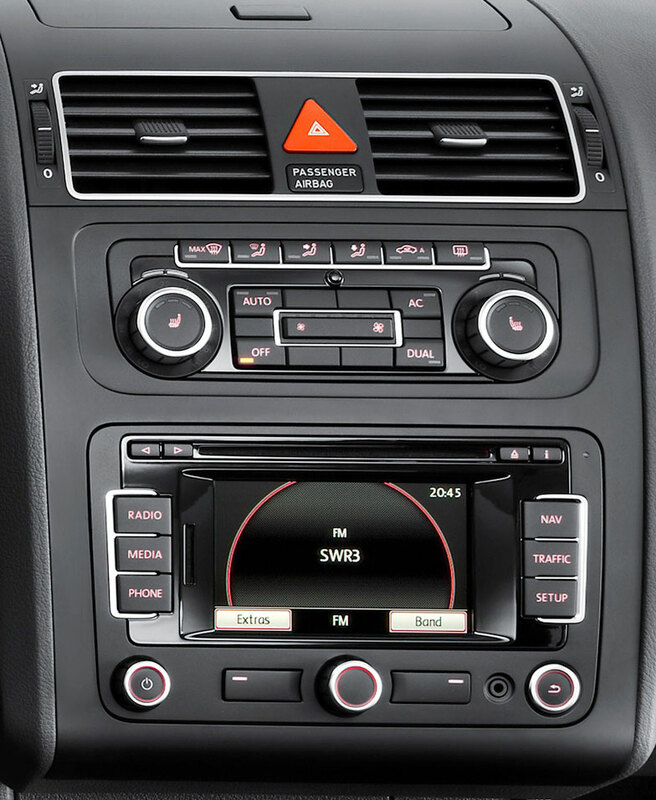 Most car radios of the VW series are easy to upgrade, including the VW Touran radio. Check out the photo above. And, you can tell that the trim panel and the car radio are easy to dismantle. You just need a lever and a screwdriver to remove them. And, before the upgrade, first apply the parking brake, then, disconnect the negative cable on the vehicle battery. If it’s the first time you upgrade a car radio, please ask a professional for help to avoid problems. If you have installation instruction form the dealer, please follow it and do the upgrade. 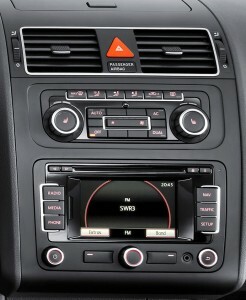 Here are replacement steps for a VW Touran radio for your reference. Remove the trim panel which is covering the radio. The trim panel can be pulled out of the dash. You have to use a lever to pry it until it’s loosened enough and take it off the dashboard. Then, put it away. Remove the radio. After removing the trim panel, you can see 4 screws at the corners of the radio. Unscrew them with a screwdriver and keep them well. Then, use your hands to take the radio out of the dash gently. There are wires at the back of the radio. Disconnect them and put the radio aside. Install the new unit. Connect the new unit to the original wiring harness. If you need a wiring harness adapter, connect the adapter to the original wiring harness first, then, to the new unit. Besides the connection of the wiring harness, you should install the antennas correctly, too. Test the new unit. Connect the negative cable on the vehicle battery and turn on the new unit to test. You should pay more attention to GPS navigation system, rearview camera, TV and radio function. The wrong installations of antennas and wrong wires connections would bring problems to the functions. You can double check the wires if you meet problems. Install the trim panel. If everything’s good, install the trim panel back to its original place. 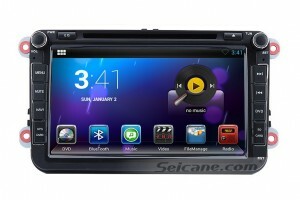 This head unit has pure Android 4.2 operation system and dual-core A9 1.6G CPU. It uses U-BLXO G6010 ST chipset and Samsung DDR3 1GB RAM. The Quad-core GPU and H.264 MVC audio decoder bring you HD video and high tone quality. Its radio function supports RDS, TA, AF, ST, LOC and so on. You can select channels manually or automatically. You can preset at most 30 stations for Band AM/FM, too. It has OBD II diagnostic system to monitor the car’s fuel consumption, water temperature, revolving speed, environment temperature and so on. It has file management. You can manage files on external storage devices by selecting, copying, pasting and deleting the files. It has built-in WIFI module for direct connection to WIFI wireless hotspots and supports optional 3G dongle. You can enjoy convenient e-life services, such as video, TV, movie, music, radio and so on. It has navigation system for 3D GPS maps; it supports Bluetooth hand free and music; it supports rearview camera and so on. It will bring convenience and entertainment to your journey. Wish you like it. 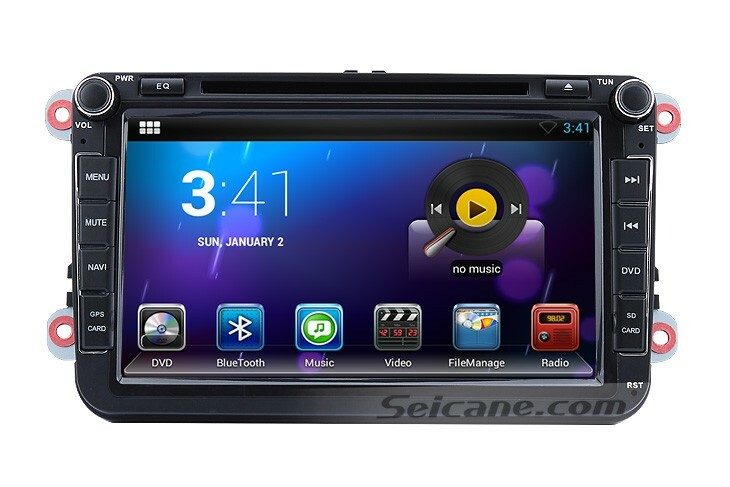 The following video is about operation of this GPS DVD player. You are welcome to check out how it works for you.